Bob and our entire Parts Staff have researched the best tires to match the performance and value you expect for your Saab. The following Hankook Tires are a good match for your 9-3 vehicles. Our Saab Staff lead by Bob in Parts and our Service Lane can help you through choosing the right tire for your Saab and will make sure you get the best value on tires mounted and balanced in the Minneapolis / St Paul Area. Contact us now or make the short drive down and visit us in Mapewood, MN today! The Grand Touring All-Season tires are for drivers who want a combination of a sophisticated appearance, competent handling and durability, along with all-season traction, including in light snow. 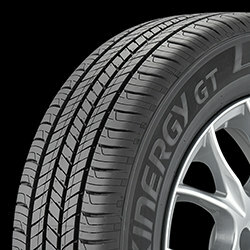 Grand Touring All-Season tires branded with the M+S symbol are often used as Original Equipment (O.E.) on sophisticated coupes and luxurious performance sedans.